The best things in life are reversible, and that includes this raglan. 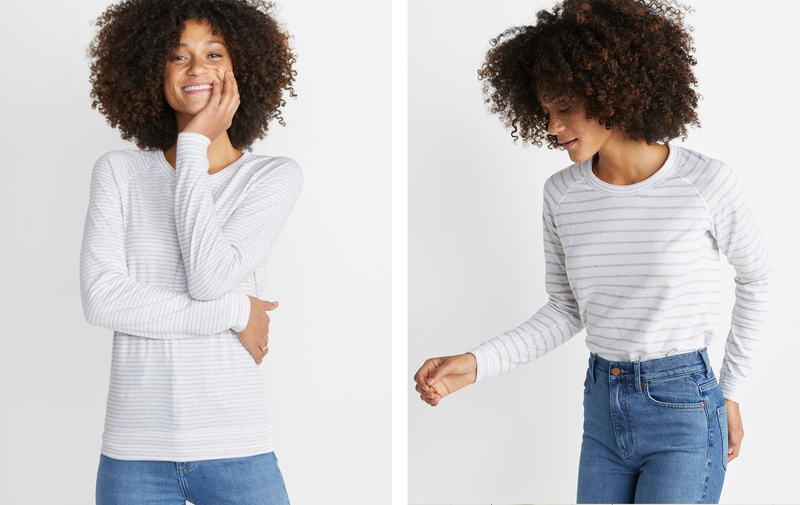 Featuring our signature Double Knit fabric, it's basically like two absurdly soft tops in one. Once we found this fabric, we couldn't stop thinking about it. So we put it into this Reversible Raglan. Look closely. 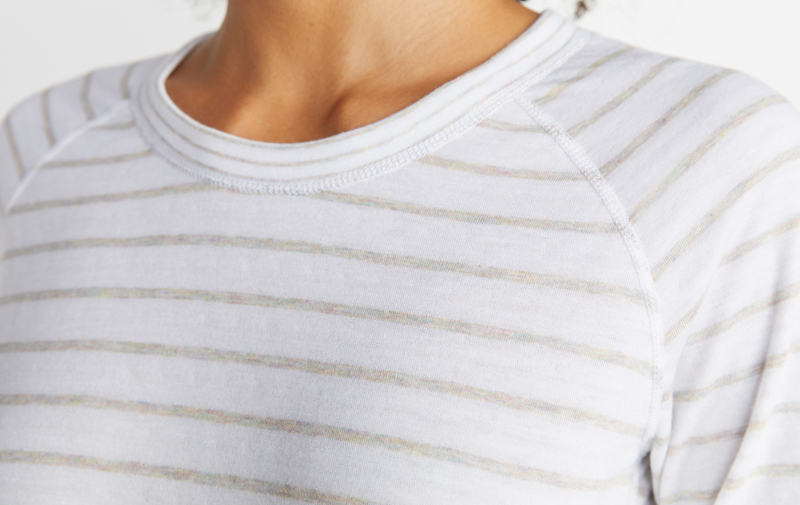 You'll see there's subtle rainbow tones in the stripes. Made possible by the 100% cotton melange of colors. See why we were obsessed?